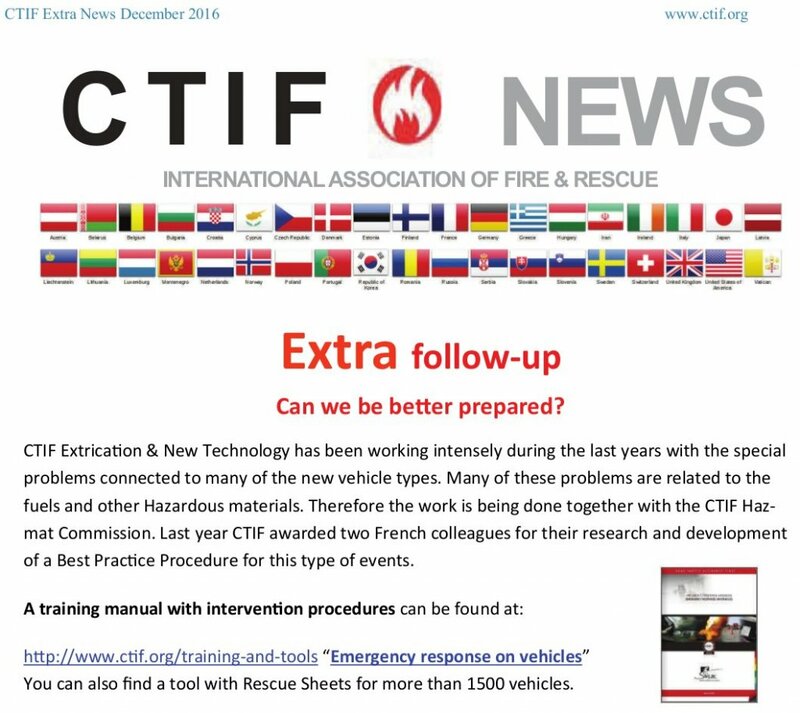 CTIF Extrication & New Technology has been working intensely during the last years with the special problems connected to many of the new vehicle types. 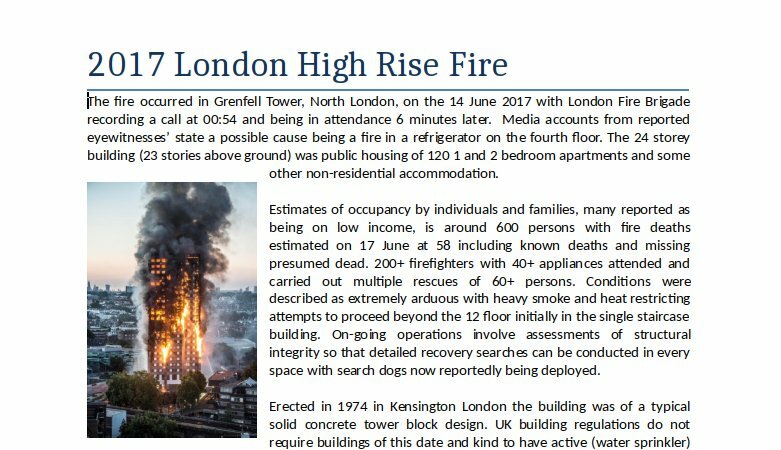 Many of these problems are related to the fuels and other Hazardous materials. 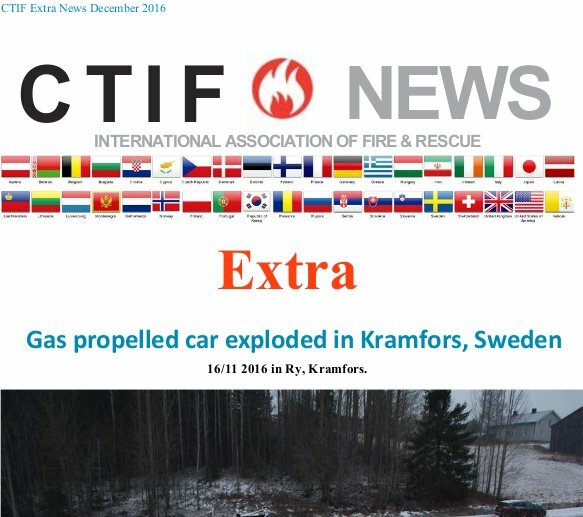 Therefore the work is being done together with the CTIF Hazmat Commission. 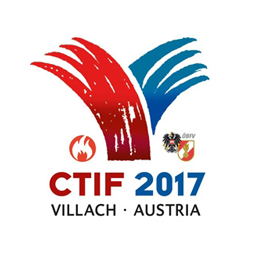 Last year CTIF awarded two French colleagues for their research and development of a Best Practice Procedure for this type of events. 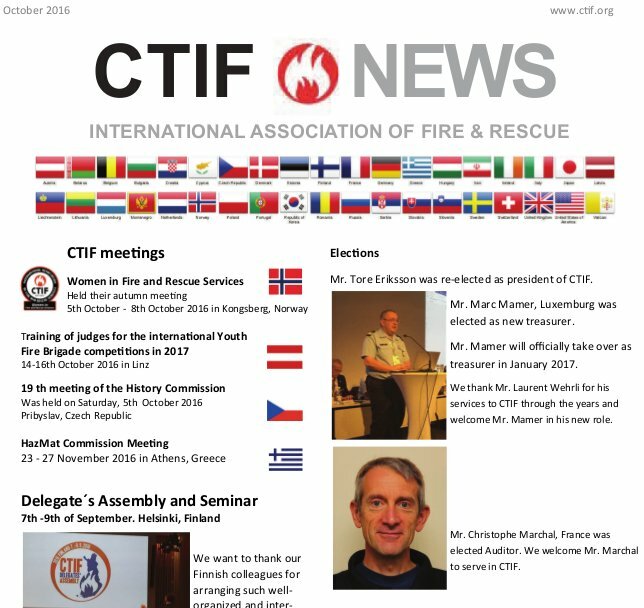 CTIF has for over 100 years had a long term commitment to improve public and first responder safety in crisis situations and recognises that early alerting and knowing what to do when dangerous situations arise are key components to achieving safer outcomes. 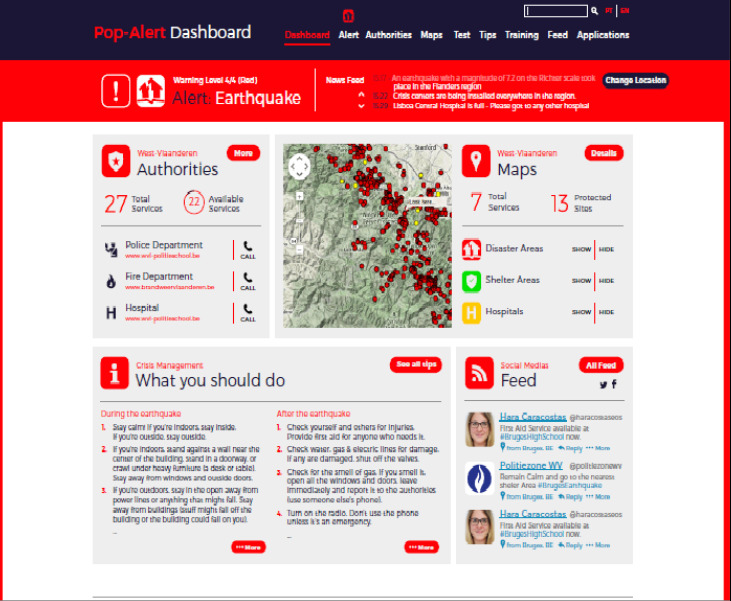 POP-ALERT www.pop-alert.eu was a 2 year project financed by the European Commission’s 7th Framework Programme. 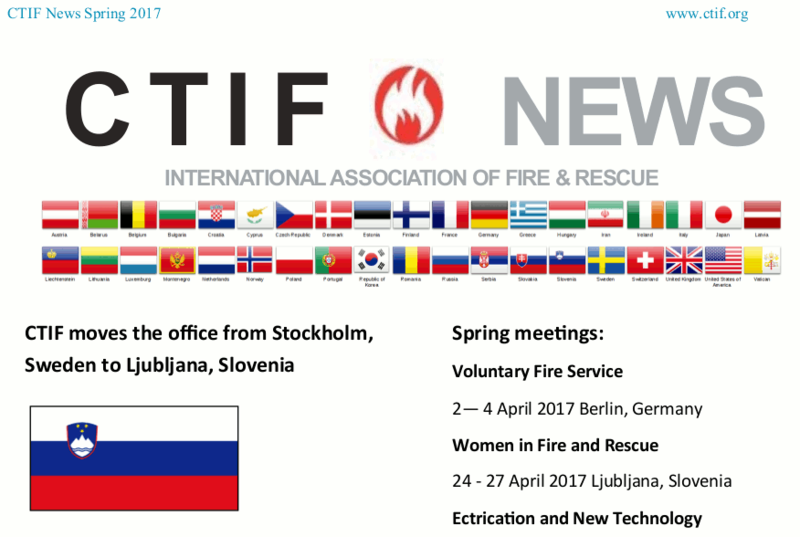 Having undertaken behavioural research and reviewed traditional Crisis Management research it considered through a series of empirical studies the issues arising in public warning and training like cultural differences, language barriers, etc., in order to create a toolkit to help prepare and alert EU populations in case of a crisis. The culmination of this research were demonstrations in Lisbon and Corsica of the practical solutions and an ongoing commitment to work with other European institutions to turn this research into a longer lasting legacy that helps us all meet growing threats from human and natural causes. 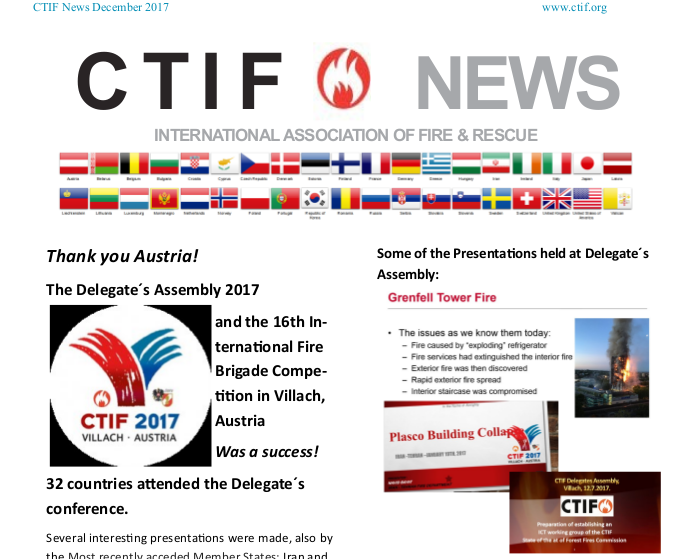 The illustrative toolkits produced for the demonstrations that include a unique alerting sound and the possible features of a mobile application were extremely well received and CTIF will now use these tools as part of its wider remit to improve public and firefighter safety.